My name is Benjamin Heath. Hi. I came to Canada because I had never been to Canada. I like to travel that way. Being lost is a favorite feeling. 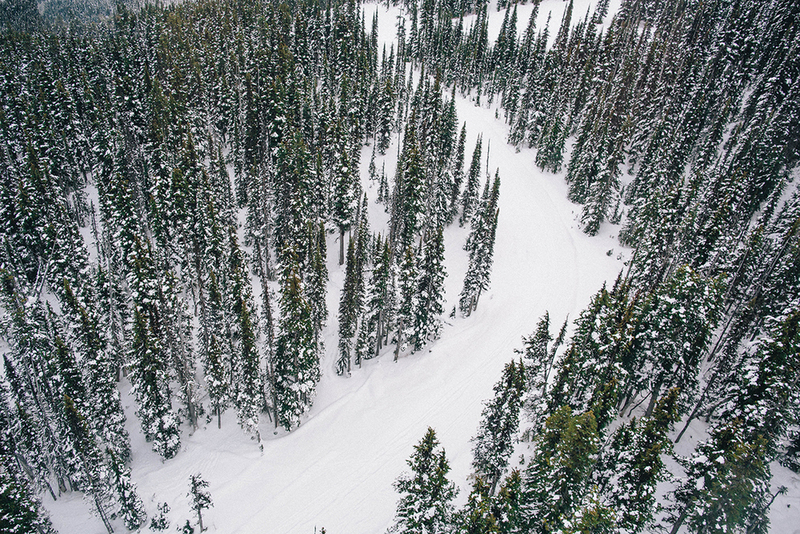 As a photographer, what was the biggest challenge of being dropped into a Canadian winter? I didn't see one! I grew up in the Midwestern United States and have had my share of brutal winters. Coming from Los Angeles, it was nice to feel winter. You mix your portraiture and landscape work very well. Do both come from the same place in an artistic sense, or do you approach them differently? I approach them very very differently. My first love is street photography, see some of my work here, and photographing people has always been very important to me. Making a great portrait of someone is extremely difficult, which is part of the appeal to me. Landscapes are pretty, and fun, but in a certain sense easy. Photographing landscapes is a delicious piece of candy. Photographing people is sustenance. How and when do you choose between Film or Digital? I don't think too hard about choosing. I pick purely based on a feeling. When I want to shoot I already seem to have picked. I know what I want to work on and what I want it to look like. I think the film v. digital debate is perhaps the most boring conversation in the world of photography. Shoot what you want and work hard at it. Every day is a little different. When I'm working days can be quite long. Shooting, processing, editing all takes a lot of time. I'm grateful for every job I'm assigned and I don't like to keep clients waiting. When I'm not working there's a lot of admin stuff to take care of. Being a photographer is 80% being a business person. A business owner. This takes a tremendous amount of organization and time. When I'm not working for a client or for my business, I'm shooting for myself. Making time to work on personal projects is crucial to your skill, portfolio, and sanity. If you want to be a photographer you have to love photography more than everything except your family and friends. You have to be indefatigable - because you're going to work every day. How important has the Community of Instagram been in both your work and your personal life? Important. Essential. The friends I've met through the Instagram community have changed my life so much. The most valuable thing I own are friendships with people that make me better - a better photographer, a better business person, a better man. I know I'm a phone call away from good advice, whatever is going on in my life. One cool thing to think about is that I know there's more people in the community that I don't know that I should. I so grateful for all the ways Instagram has changed my life. Do you have any advice for connecting with other community members? My main advice is don't chase followers or likes or status. Be yourself and seek to connect with others who share your interests. You'll be stronger for it.